Do you look younger than your age? This morning i took a jeepney ride from Munoz to our office. Since the distance between the point of origin and our office is less than 4 kilometres, the supposed charge is the minimum fare - Php 8.50. 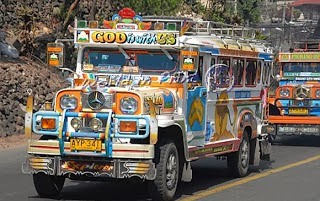 I reached a ten-peso coin from my pocket and (as i was seated at the rear side of the jeep) at the top of my voice, I yelled, “bayad po” to prompt other passengers to reach for my fare and hand it to the dirty hand (with untrimmed fingernails stuffed with mixture of grease, dead skin cells and dandruff hahaha) of the driver. I ought to receive back Php 1.50 change but to my great surprise, i received Php3.00. We were only five passengers and the driver had a clear view of me at his horizontal mirror. Or perhaps to his discretion, i am a high school student hahaha. i thought of returning the Php1.50 excess change but before i was able to, i realized that our office is just a couple of meters away so i merely said, “para po” and smiled.